THE MICRO VIDEO BIZ KIT IS HERE! Let’s get you 2 messages, while only paying for a one minute video. 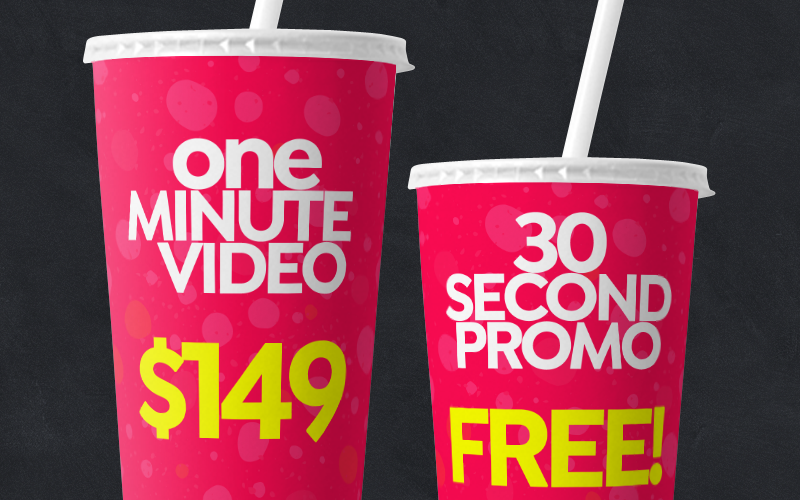 With this set, we can focus on presenting your business or service concept on a one minute video, while using the 30 second promo to advertise a special deal! The cost is only $149 and the delivery time of your kit is between 48-72 hours after all requested information has been provided. 3 POSTCARD ADS AS A GIFT? YES! 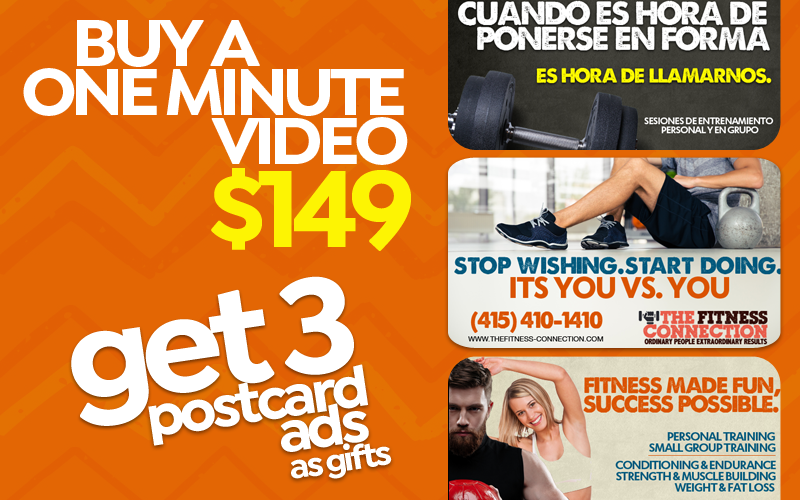 Buy a one minute video at the regular price of $149, and receive 3 digital postcards ads to be used as post ads on Craigslist, Facebook, Online Profiles and online business profiles!